Where above both the moves have the same kind of impact on the game and its progress. 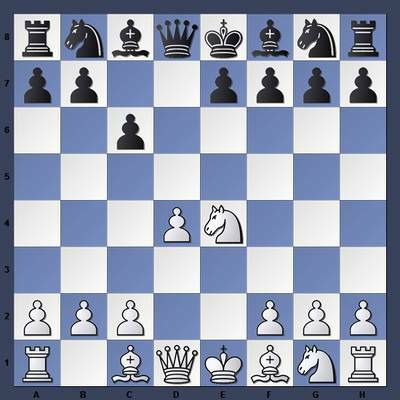 In this type of pattern of moves there are possibilities for White to gain the upper hand in the game. In these type of moves also the game is in the hands of White. These steps can also influence the progress of the game to a great extent. At this point of time the game gets tougher and tougher for Black and White remains safe gaining the control over the central plot. These are also different moves which have the same impact that the above moves produce. These are also certain steps which have the same kind of impact in the game. Play through all of these Caro Kann variations here. Join in and write your own page! It's easy to do. How? Simply click here to return to Tried the Caro Kann Defense?.